LOS ANGELES (AP) — LeBron James was absent from the ESPYs, but was still the talk of the town on the red carpet under a sizzling sun in Los Angeles. "There's a buzz around this city," Lakers teammate Josh Hart said. "I think he's going to do great things," soon-to-be NFL Hall of Famer Terrell Owens said. "I can see everywhere he's gone they've increased their wins. I expect nothing less." Halsey is "really happy" with her life. The 'Colours' hitmaker feels blessed to have such an amazing career and she adores her boyfriend G-Eazy too. She said: "I'm really happy with my life ... [I'm not] this reckless, devil-may-care, angry person [anymore] ... I really love that girl so much ... but now I'm 23, I bought a house and I do my taxes." When Halsey first got together with the rapper, many assumed it was just a "publicity stunt" because they were working on 'Him and I' together. G-Eazy used a magazine cover of his face as a form of identification to get through airport security after misplacing his ID. Cardi B's debut album will be released next week. The 'Bodak Yellow' hitmaker took to Instagram to show her fans the cover for her new album, 'Invasion of Privacy', which is set to be released on April 6. She captioned the image: "My album cover !!! LADIES AND GENTS ! My album INVASION OF PRIVACY will be out next week April 6!!!!!!! 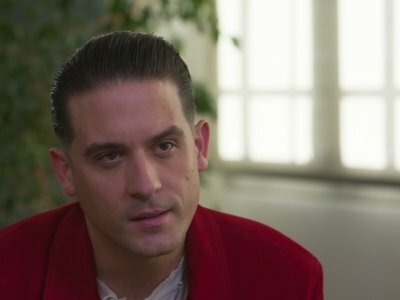 (sic)"
After several mostly lackluster years for hip-hop and hard rock concerts you know its an off year in rap when Macklemore and G-Eazy are the biggest gigs those genres produced the most exciting shows in 2018. Lana Del Rey has split from her boyfriend. 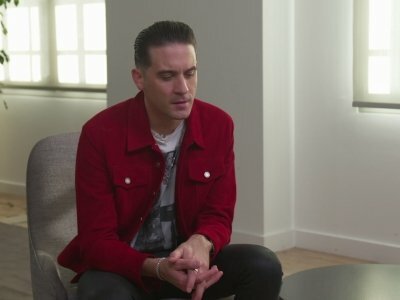 The 'Cherry' singer began dating rapper and producer G-Eazy earlier this year, but they have now gone their separate ways and he has moved on with another singer, Halsey. And it isn't only in the musician's affections that Halsey has replaced Lana as she's also providing vocals on his track 'Him and I', a song he originally lined up to have the 'Video Games' hitmaker provide vocals. Lana Del Rey insists she is the "best girlfriend." The 31-year-old singer is currently dating fellow musician G-Eazy, and the flame-haired beauty believes she is the ideal partner because she is "unconditionally understanding", "very loving", and will want to be with her beau all the time. Speaking about her romantic side to Elle UK magazine, the 'Young and Beautiful' hitmaker said: "I actually am the best girlfriend because I only get into a relationship if I'm really excited about it. Lana Del Rey is dating G-Eazy. The 'Video Games' singer was reportedly spotted "making out" with the US rapper - whose real name is Gerald Earl Gillum - at the Coachella festival numerous times over the last weekend and couldn't hide their affection for one another. A source told the Sunday Mirror newspaper: "They were together for the entire weekend. "They barely left one ­another's sides and looked very lovey-dovey. They were kissing and whispering in each other's ears."